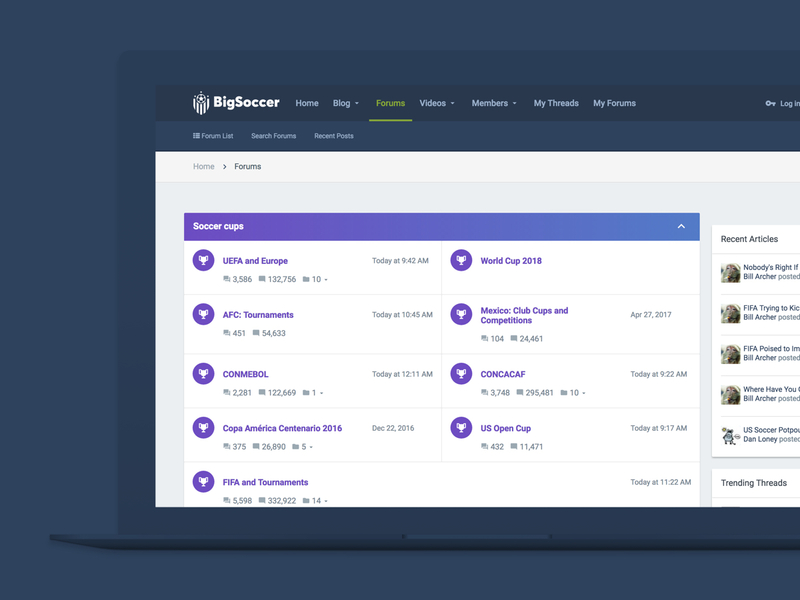 BigSoccer is a leading soccer forum with members discussing professional soccer teams, cups, and more. Sporting a Squarespace article side and a vBulletin forum, BigSoccer contacted us to completely overall their brand and website. Refining their pixelated and high-gloss logo to something more sleek, as well as changing software platforms to XenPorta and XenForo, we were able to build the large board from the ground up. Complete UI/UX design process of all essential views which included homepage, forum list, thread list, and thread view.